The 4th Inas Global Games in Ecuador proceeded after a shift in venues to Guayaquil and Guaranda due to the volcanic activity near Quito. 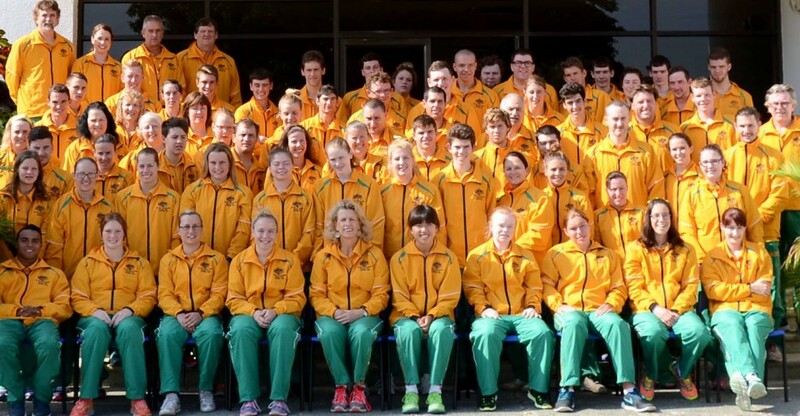 The Australian Team pictured above included 55 Athletes and 19 staff. The 2015 Inas Global Games, what an experience! It is hard to fully describe to anyone unless there. I want to thank every member of the Australian team and that includes Doc Anne Linton for the way you dealt with incredibly difficult circumstances. Even the way the issues on the way home, with a diversion to Hawaii, were dealt with by staff and athletes alike was commendable. As I highlighted the true test of a person is how they deal with adversity. Individuals can be fantastic when everything is going well, but it is how those individuals deal with issues when times are tough. EVERY AUSTRALIAN STOOD UP. I want to pay a huge thanks also to Aussies Michael Woods and Lorraine Landon for the work in conducting the Swimming and the Basketball events. Also to Greg Dunk, Global Games 2019 for how much work he did behind the scenes to assist. Not only did we finish on top of the medal tally, but we were wonderful ambassadors for Australia – always smiling and being respectful of our hosts and the people who worked so hard to help us. Finally to our USA friends – CEAR would not have been as enjoyable without you there with us. My friends and colleagues Barry Holman and Julie Holman were invaluable in assisting me find strength each day. Finally a huge thank you to Tracy Lawrence for her incredible role preparing everything for us prior to getting there and not forgetting Kellie and Liz in the Sport Inclusion Australia office. Enjoy your homes, beds, families, friends and remind yourself how lucky you are in comparison to many others living in Ecuador.